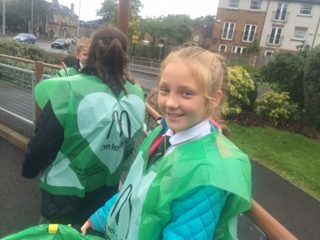 Primary 6/7 were ‘lovin it’ as they joined McDonalds on Renfrew Road to help clean up the local area! 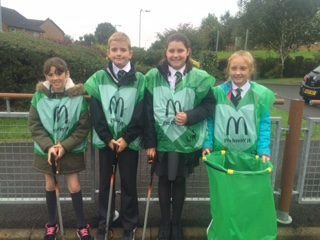 Children were given litter pickers and tabards as they were escorted round the area of Gallowhill by the owner of the McDonalds franchise and the store manager among other restaurant staff. 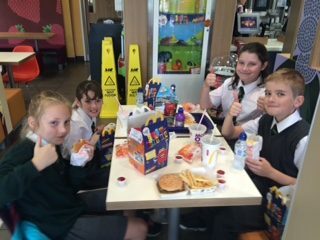 The local community police were also there to give a helping hand. 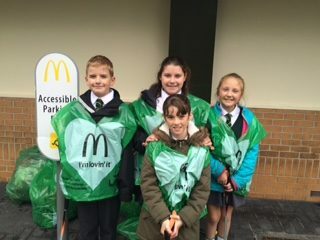 The boys and girls from St James’ were please with the bags full of rubbish they collected over two hours.They were also pleased with their McDonalds treat after all of their hard work!